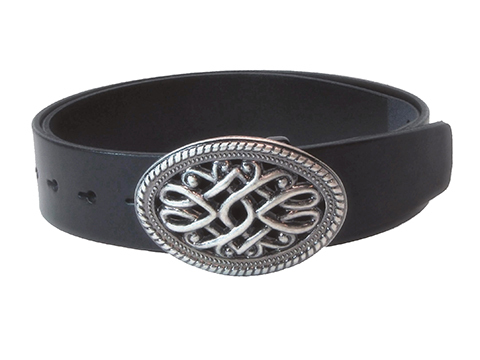 This belt is 38mm (1½″) wide and made from high quality Italian leather with a Scribe-line around its edge. The buckle has a wrought iron feel and is inspired by the Celtic knot pattern that symbolises the eternal cycle of life. It is finished in antique nickel or antique brass and is made from tough zinc alloy. As standard this belt does not have a belt loop.